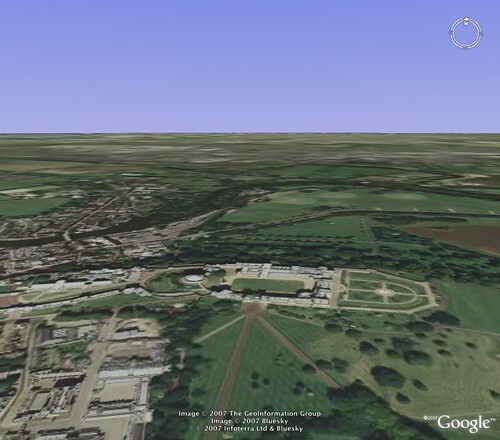 Not only does the latest version of Google Earth have the ability to view the night's sky, but it also has a "hidden" flight simulator that cleverly and accurately shows the ground below you. Here you can select one of two planes (F16 fighter jet or SR22 prop plane - it doesn't seem to make much of difference which you choose) and select the airport and runway you wish to take off from. Make your choice and click "Start Flight". 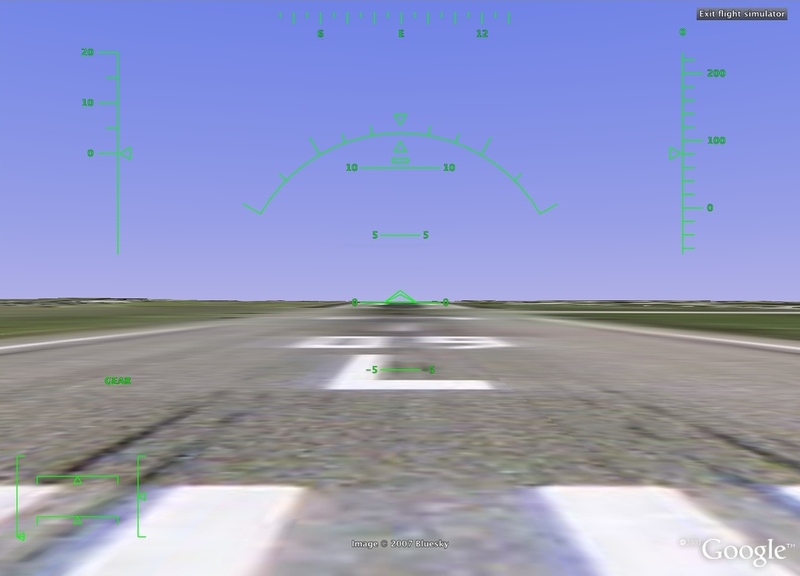 Soon you'll be sitting on your selected runway, ready to take off. Now go flying. In order to take off, you need to build up some thrust - press the Page Up key for a few seconds (the thrust meter is the left bar of the lower-left meters). Once you've accelerated to a sufficient velocity use the arrow keys to take-off. The keys are in reverse, as one would expect with any flight simulator, so use the down arrow to take-off. Just be careful, it's very sensitive. 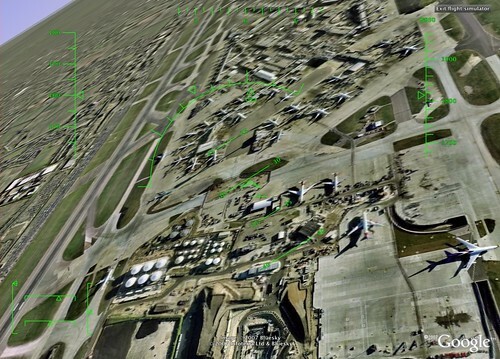 Once you're airborne, you can start using your mouse to control your plane. ... and I was impressed. If you crash, don't worry, you can select to continue with your flight and Google Flight Simulator will then start again, but with you in the air near where you crashed. I'm pretty impressed with this hidden feature. I wonder how long before they advertise it as official functionality. 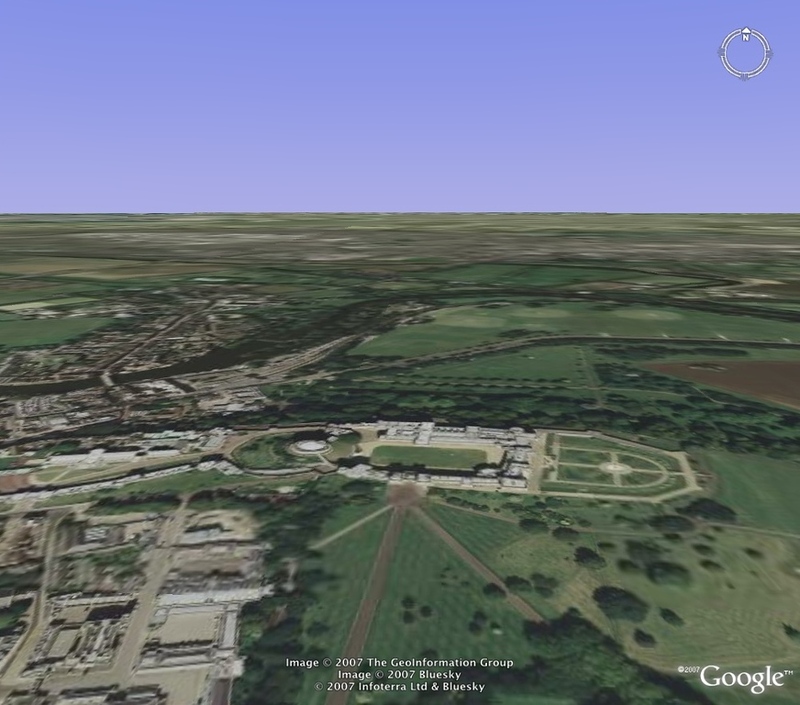 Who needs MS Flight Simulator when you've got Google Earth?